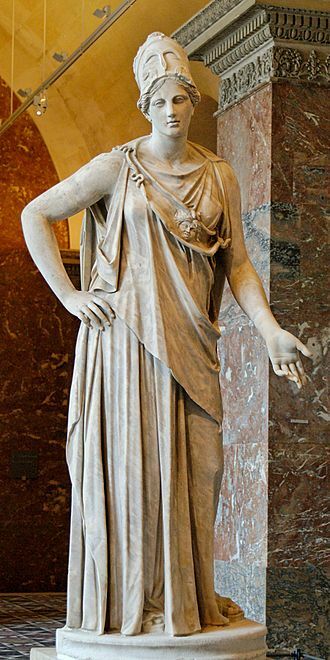 Simonetta Vespucci was born Simonetta Cattaneo circa 1453 in a part of the Republic of Genoa that is now in the Italian region of Liguria. A more precise location for her birthplace is unknown: possibly the city of Genoa, or perhaps either Portovenere or Fezzano. The Florentine poet Politian wrote that her home was "in that stern Ligurian district up above the seacoast, where angry Neptune beats against the rocks ... There, like Venus, she was born among the waves." Her father was a Genoese nobleman named Gaspare Cattaneo della Volta (a much-older relative of a sixteenth-century Doge of Genoa named Leonardo Cattaneo della Volta) and her mother was Gaspare's wife, Cattocchia Spinola (another source names her parents slightly differently, as Gaspare Cattaneo and Chateroccia di Marco Spinola. At age sixteen she married Marco Vespucci, son of Piero, who was a distant cousin of the explorer and cartographer Amerigo Vespucci. They met in April 1469, when she was with her parents at the church of San Torpete in Genoa; the doge Piero il Fregoso and much of the Genoese nobility were present. Marco had been sent to Genoa by his father, Piero, to study at the Banco di San Giorgio. 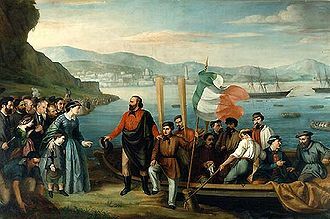 Smitten with Simonetta, Marco was accepted by her parents as his daughter's prospective bridegroom; they likely felt that the marriage would be advantageous because Marco's family was well connected in Florence, especially to the Medici family. Simonetta and Marco were married in Florence that same year. According to legend, Simonetta quickly became popular at the Florentine court, and attracted the interest of the Medici brothers, Lorenzo and Giuliano. Lorenzo permitted the Vespucci wedding to be held at the palazzo in Via Larga, and held the wedding reception at their lavish Villa di Careggi. At La Giostra (a jousting tournament) in 1475, held at the Piazza Santa Croce, Giuliano entered the lists bearing a banner upon which was a picture of Simonetta as a helmeted Pallas Athene, painted by Botticelli, beneath which was the French inscription La Sans Pareille, meaning "The Unparalleled One." Giuliano won the tournament, and nominated Simonetta as “The Queen of Beauty” at that event. 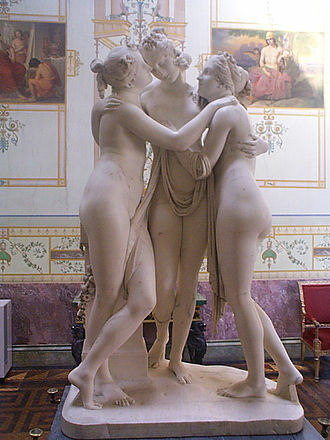 It is clear that Simonetta had a reputation as an exceptional beauty in Florence, but Giuliano's display should be considered within the conventions of courtly love. Simonetta was a married woman and a member of a powerful family allied to his. It is unknown and unlikely that they became lovers. Simonetta Vespucci died just one year later, most likely from tuberculosis, on the night of 26–27 April 1476. She was twenty-two at the time of her death. She was carried through the city in an open coffin for all to admire, and there may have have existed a posthumous cult about her in Florence. Her husband remarried soon afterward. Giuliano de Medici was assassinated in the Pazzi conspiracy in 1478, two years to the day after Simonetta's death. The vulgar assumption, for instance, that she was Botticelli's model for all his famous beauties seems to be based on no better grounds than the feeling that the most beautiful woman of the day ought to have modelled for the most sensitive painter. 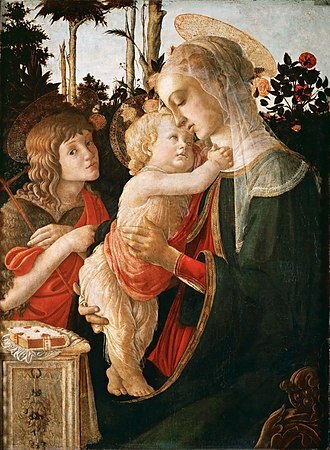 Some art historians, including John Ruskin, suggest that Botticelli had fallen in love with Simonetta, a view supported by Botticelli's request to be buried in the Church of Ognissanti — the parish church of the Vespucci — in Florence. His wish was carried out when he died 34 years later, in 1510. However, this had been Botticelli's parish church since he was baptized there, the church contained works by him, and he was buried with his family. Botticelli painted the standard carried by Giuliano at the joust in 1475, which carried an image of Pallas Athene that was very probably modeled on her; so he does seem to have painted her once at least, though that particular image is now lost. 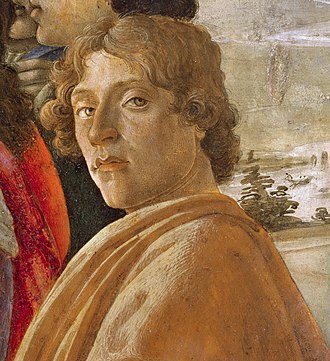 Botticelli's principal Medici patron, Giuliano's younger cousin Lorenzo di Pierfrancesco de' Medici, married Simonetta's niece Semiramide in 1482, and it is likely that Botticelli's famed allegory Primavera was painted as a wedding gift for this occasion. Again, this is a work that some have claimed contains a representation of Simonetta. 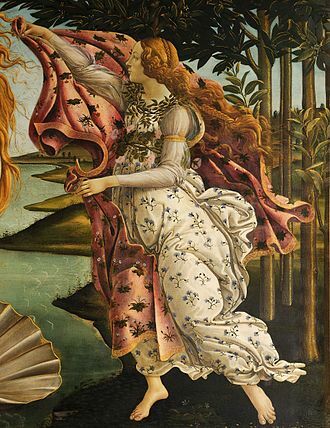 Regarding each Portrait of a Woman pictured above, credited to the workshop of Sandro Botticelli, Ronald Lightbown claims they were creations of Botticelli's workshop that were likely neither drawn nor painted exclusively by Botticelli himself. Regarding these two paintings he also notes that "[Botticell's work]shop...executed portraits of ninfe, or fair ladies...all probably fancy portraits of ideal beauties, rather than real ladies." 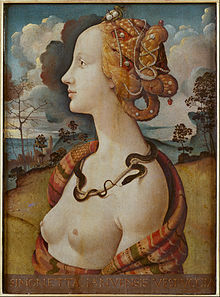 Simonetta Vespucci may also be depicted in the painting by Piero di Cosimo titled Portrait of a woman, said to be of Simonetta Vespucci, which portrays a woman as Cleopatra, with an asp around her neck. Yet how closely this resembles Simonetta is uncertain, not least because it is a posthumous portrait created about 14 years after her death. (Worth noting as well is the fact that Piero di Cosimo was only 14 years old the year of Simonetta's death.) 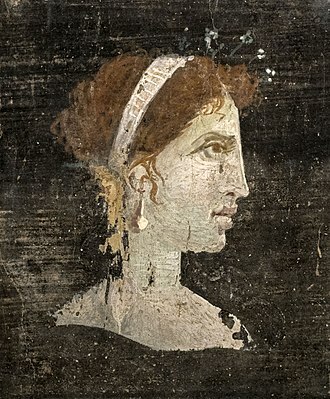 The museum that currently houses this painting, the Musée Condé, questions the identity of its alleged subject and titles it "Portrait of a woman, said to be of Simonetta Vespucci", noting that the inscription of her name at the bottom of the painting may have been added at a later date. ^ Mineo, Nicolò (1979). "CATTANEO, Simonetta". Dizionario Biografico degli Italiani, Volume 22: Castelvetro–Cavallotti (in Italian). Rome: Istituto dell'Enciclopedia Italiana. Retrieved 3 July 2018. ^ Richter, Luise Marie Schwab (1914). Chantilly in History and Art. Scribner. p. 146. ^ Farina, Rachele (2001). Simonetta: Una donna alla Corte dei Medici. Turin: Bollati Boringhieri. pp. 90, 121–23. ISBN 9788833913568. OCLC 49036189. ^ Ambrogini, Angelo. 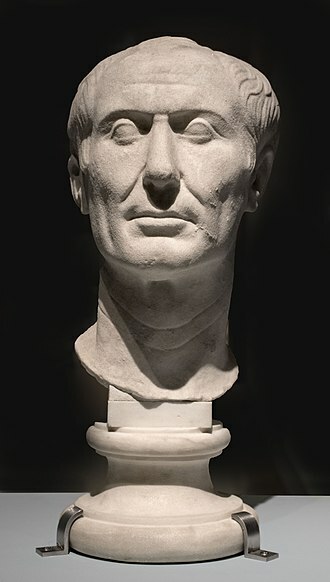 Giostra. 1, verse 32. This translation is somewhat loose. Maraviglia di mie belleze tenere / Non prender già ch' i' nacqui in grembo a Venere. 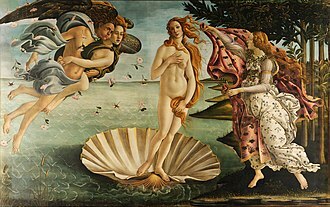 A literal reading of Poliziano would put her birthplace in the town of Portovenere, but this is more likely a reference to Botticelli's Birth of Venus. ^ Simioni, Attilio (1908). "Donne ed Amori Medicei". Nuova antologia di Lettere, Scienza, ed Arti. Roma. 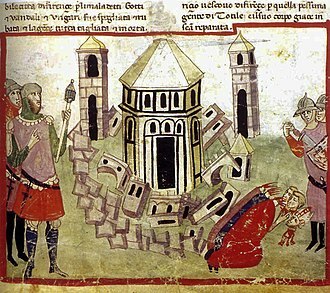 CXXXV: 688. ^ a b c Lightbown 1989, p. 63. ^ a b c Lightbown 1989, p. 61. ^ a b Lightbown 1989, p. 62. ^ a b Lightbown 1989, p. 64. ^ a b c d Jiminez, Jill Berk (15 October 2013). Dictionary of Artists' Models. Routledge. p. 547. ISBN 9781135959142. ^ Harness, Brenda. "The Face That Launched A Thousand Prints". Fine Art Touch. Retrieved 10 August 2009. ^ Fernandez-Armesto, Felipe (2007). Amerigo: The Man Who Gave His Name to America. Random House. p. 231. ISBN 1-4000-6281-0. ^ Lightbown 1989, p. 120. ^ Lightbown 1989, p. 121. ^ Lightbown 1989, p. 122. ^ "Spring mysteries: Botticelli's Primavera". The Artstor Blog. 2013-03-20. Retrieved 2018-11-25. ^ "Painting at the Gemäldegalerie Berlin". Bode-Museum (in German). 25 August 2011. Retrieved 3 July 2018. ^ Lightbown 1989, p. 313. Lightbown, Ronald W. (1989). 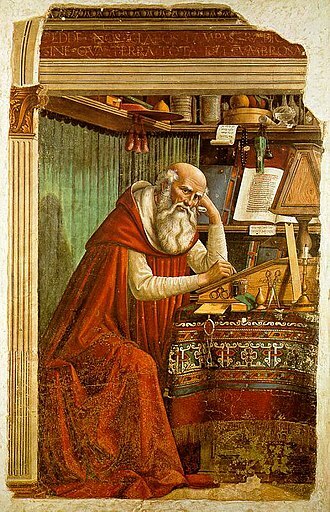 Sandro Botticelli: Life and Work. Thames and Hudson (Abbeville Press). p. 336. ISBN 9780896599314. 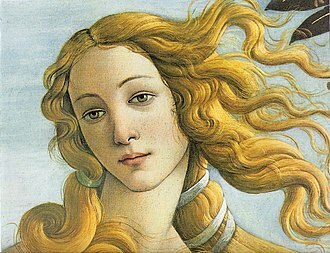 Wikimedia Commons has media related to Simonetta Vespucci. The Palazzo Medici, called the Palazzo Medici Riccardi after the family that acquired and expanded it, is a Renaissance palace located in Florence, Italy. It is the seat of the Metropolitan City of Florence, the palace was designed by Michelozzo di Bartolomeo for Cosimo de Medici, head of the Medici banking family, and was built between 1444 and 1484. It was well known for its masonry, which includes architectural elements of rustication. The tripartite elevation used here expresses the Renaissance spirit of rationality and this tripartite division is emphasized by horizontal stringcourses that divide the building into stories of decreasing height. Michelozzo di Bartolomeo was influenced in his building of this palace by both classical Roman and Brunelleschian principles, during the Renaissance revival of classical culture, ancient Roman elements were often replicated in architecture, both built and imagined in paintings. In the Palazzo Medici Riccardi, the masonry and the cornice had precedents in Roman practice, yet in totality it looks distinctly Florentine. Similarly, the early Renaissance architect Brunelleschi used Roman techniques and influenced Michelozzo, the open colonnaded court that is the center of the palazzo plan has roots in the cloisters that developed from Roman peristyles. The once open corner loggia and shop facing the street were walled in during the 16th century. The new windows are set into what appears to be an infill of the original arched opening. The building reflects the wealth of the Medici family. Then a garden done in the finest of polished marbles, with diverse plants, Cosimo received the young Sforza in the chapel not less ornate and handsome than the rest of the house. Other decorations included two lunettes by Filippo Lippi, depicting Seven Saints and the Annunciation, now at the National Gallery, when the Medici family returned to Florence after their short exile in the early 16th century, they kept a low profile and exercised their power behind the scenes. This is reflected in the exterior of this building, and is said to be the reason why Cosimo de Medici rejected Brunelleschis earlier proposal. The Pazzi conspiracy was a plot by members of the Pazzi family and others to displace the de Medici family as rulers of Renaissance Florence. On 26 April 1478 there was an attempt to assassinate Lorenzo de Medici, Lorenzo was wounded but survived, Giuliano was killed. 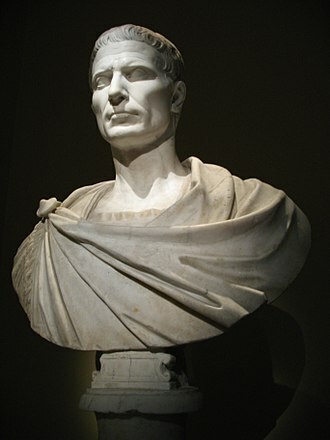 The failure of the served to strengthen the position of the Medici. The Pazzi were banished from Florence, Francesco della Rovere, who came from a poor family in Liguria, was elected pope in 1471. As Sixtus IV he was wealthy and powerful, and at once set about giving power and wealth to his nephews of the della Rovere. The Salviati, Papal bankers in Florence, were at the centre of the conspiracy, Pope Sixtus IV was an enemy of the Medici. He had purchased from Milan the lordship of Imola, a stronghold on the border between Papal and Tuscan territory that Lorenzo de Medici wanted for Florence, the purchase was financed by the Pazzi bank, even though Francesco de Pazzi had promised Lorenzo they would not aid the Pope. As a reward, Sixtus IV assigned to the Pazzi bank lucrative rights to manage Papal revenues. 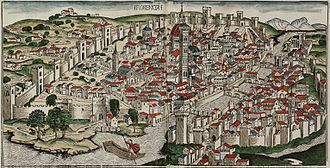 Sixtus IV appointed his nephew, Girolamo Riario, as the new governor of Imola, and Francesco Salviati as archbishop of Pisa, Lorenzo had refused to permit Salviati to enter Pisa because of the challenge such an ecclesiastical position offered to his own government in Florence. 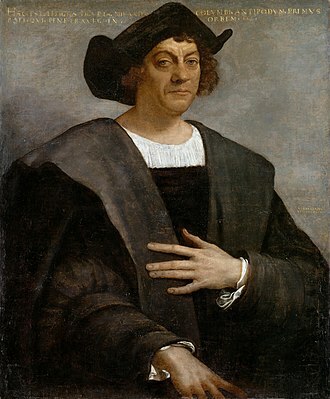 Girolamo Riario, Francesco Salviati and Francesco de Pazzi put together a plan to assassinate Lorenzo, Pope Sixtus was approached for his support. He made a very carefully worded statement in which he said that in the terms of his office he was unable to sanction killing. He made it clear that it would be of benefit to the papacy to have the Medici removed from their position of power in Florence. He instructed the men to do what they deemed necessary to achieve this aim, on Sunday,26 April 1478, during High Mass at the Duomo before a crowd of 10,000, the Medici brothers were assaulted. Giuliano de Medici was stabbed 19 times by Bernardo Bandi and Francesco de Pazzi, as he bled to death on the cathedral floor, his brother Lorenzo escaped with serious, but non life-threatening wounds. Its date is uncertain, and its subject has been a matter of dispute. Despite the uncertainty surrounding the matter, the painting, which shows a satyr mourning over the body of a young woman, has been one of the most popular works by Piero di Cosimo. 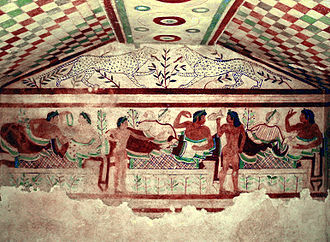 Erwin Panofsky was mesmerized by the strange lure emanating from the picture, the story is supposed to have been adapted from Plautus rather than Ovids Metamorphoses and, in contrast to earlier treatments of the story, it ends happily. If so, the painting should be read as a warning to the newlyweds against the dangers of jealousy which brought about the death of Procris. The association with the theme of marriage is reinforced by the unusual dimensions which suggest it was intended for the front of a cassone. Fermor finds it plausible that the painting hung in the marital chamber, the upper part of the painting bears the artists fingerprints. On the back of the panel are a card and a seal with the stemma of the Guicciardini, there is a drawing interpreted as the frame of a pilaster. Perseus Rescuing Andromeda, oil on canvas, 1510 or 1513, Uffizi. Tritons and Nereids (1500), oil on panel, 37 x158 cm, Milano, Altomani collection. Plaque dedicated to Giuseppe Garibaldi. Sforza was himself depicted in the chapel's fresco. Detail of the mourning faun. A river landscape in the background. The square, with the Basilica of Santa Croce.